Your body is able to sense missing teeth and will absorb minerals in your jawbone to use elsewhere. Fortunately, Dr. Katherine Schier can help you explore your tooth replacement options to prevent jawbone deterioration. Our Kalamazoo, MI dentist will recommend ways to preserve your oral health for weeks, months, and years after tooth extraction. Keep reading to learn about extraction site preservation and how our extraction dentist can help. A dental implant is a titanium rod placed in your jawbone to act like a tooth root. Later, Dr. Schier places a dental crown over the implant to give you the appearance and function of a natural tooth. Dental implants are perfect for extraction site preservation because they stimulate jawbone tissue so it doesn’t deteriorate. You must have enough jawbone density to support dental implants. Otherwise, Dr. Schier may recommend a bone graft. You’ll also need to have good oral health and a strong immune system to be a candidate for a tooth implant. It’s important to understand that your teeth are partially held in place by adjacent teeth. This means that once you lose one tooth, you’re more likely to lose another. Partial dentures help keep teeth next to the extraction site in place. Without partial dentures, your teeth will start to tilt toward the empty extraction site. Like the name suggests, a dental bridge “bridges” the gap left by a missing tooth. To be a candidate for a dental bridge, you must have healthy teeth or dental implants on either side of the gap. This is because a dental bridge is a single restoration, comprised of a false tooth anchored in place with crowns on adjacent teeth. Dr. Schier is a tooth extraction dentist in Kalamazoo, MI. 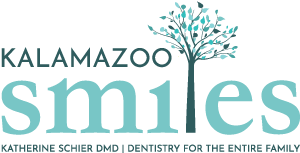 To request an appointment and learn about your options for extraction site preservation, call Kalamazoo Smiles at (269) 353-3700.